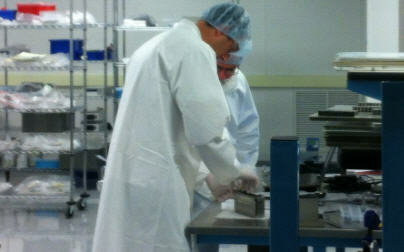 Dexter maintains the highest quality standards for our clean room assembly processes. Certified to Class 10000 (ISO 7) standards, our processes allow you optimal solutions. Investment in contamination control, contamination-free packaging and high efficiency cleaning has guaranteed Dexter as a full service provider to its customers. Every product has process documentation and a quality management plan with focus on continuous improvement, process control and yield management with product and component failure analysis if required. We provide full data collection, analysis and yield management to ensure your products meet expectations. Contact us to learn how our capabilities can further support your application.